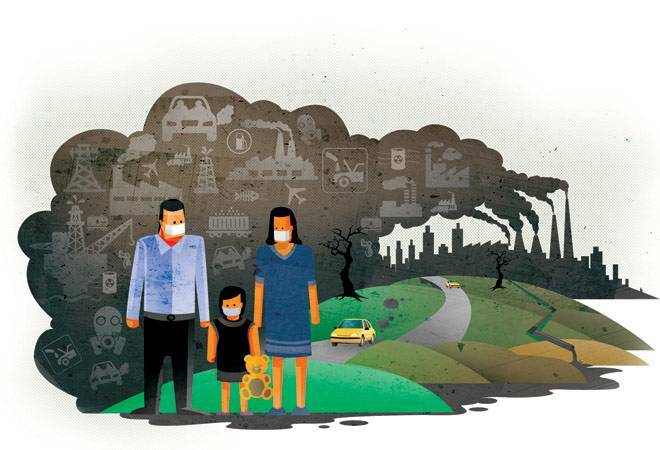 ABOUT: With Delhi's air pollution reaching alarming proportions and most of the other major metros on the verge of hitting dangerous levels of air pollution, there's need for drastic action in the interest of public health. 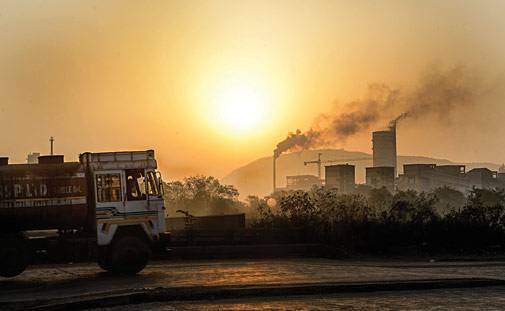 ABOUT: With Delhi's air pollution reaching alarming proportions and most of the other major metros on the verge of hitting dangerous levels of air pollution, there's need for drastic action in the interest of public health. Without doubt, if this generation needs to make the world a better place to live for future generations, clean air has to be our biggest priority. Environmentalist and activist Sunita Narain, Director General, Centre for Science and Environment, exhorts, it's now or never. I write this, the Supreme Court has passed far-reaching orders to control toxic air pollution in Delhi and its neighbouring areas. The Chief Justice recognised the public health emergency in the city caused by the runaway air pollution and initiated crackdown with a slew of measures - from tax on entry of trucks into Delhi, to a ban on the registration of private diesel cars above 2,000 cc and facilitating the move to compressed natural gas (CNG) in taxis across the national capital region. But why is this happening and what is the history of Delhi's tryst with air pollution? "Roll down the window of your bullet-proof car, Mr. Prime Minister. The security threat is not the gun; it is the air of Delhi." This was the headline of the public advertisement the Delhi-based Centre for Science and Environment (CSE) issued some 16 years ago. This was the time when the air of Delhi was sick with black smoke and fuel, and emission standards were virtually non-existent, and motorisation was just beginning to take off. The agenda for action - also listed by CSE in the public notice - was to advance the roadmap for fuel emission standards; restrict diesel vehicles and make the transition to a much cleaner fuel, CNG. The rest is history. Amicus Curiae Harish Salve asked the Supreme Court to direct firm action. It did. The city did make the leapfrog to CNG and the country also cleaned up its fuel and advanced emission standards for vehicles. The result was reduction in pollution; studies have recorded the impact in terms of benefits to health. World Bank reports that during 2001 to 2004, Delhi avoided 3,500 premature deaths a year because of this transition. This was no small achievement. Simply put, we in Delhi could see stars. We even forgot that we had a problem called pollution. But not anymore. Each year, since 2007, pollution levels have risen to reach dangerously toxic levels. Our analysis shows that almost every day of the winter of 2014, air pollution levels were either severe or very poor - in other words, as per the government's own air quality index, the air was unsafe to breathe and would make even the healthy ill. 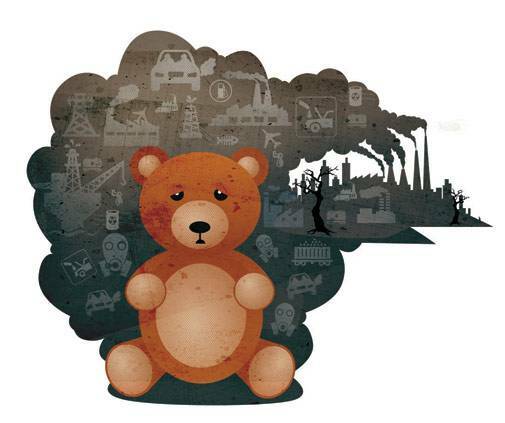 It is no surprise then that a study, commissioned by the Central Pollution Control Board (CPCB), conducted in 2012, covering around 11,628 school children, reported the horrific fact that every third child had reduced lung function. Their sputum contained four times more iron-laden macrophages - a sign of the body's self-defence mechanism to fight pollution - than children from cleaner environments. All this is clearly unacceptable. The most critical step is to massively augment our public transportation systems - buses, metros, footpaths and cycle tracks - so that we can take a bus and then cross the road or just walk. We also need car restraints. Parking rates and fi nes for illegal parking need to be increased and then enforced. We also need to take aggressive and radical steps to hold down pollution from factories and farms, particularly in critical winter months. So, what has made Delhi, once again, wheeze, choke and die because of dirty air? The fact is that, in the past decade, since the introduction of CNG, some things have changed. One, there has been an explosion of personal vehicles - near 100 per cent increase in registration in Delhi alone. So, even as each car has become cleaner, because of tighter emission standards and better quality of fuel, the number has increased exponentially. The net result on pollution is the same. Second, while in 2000, diesel cars comprised only 4 per cent of the total sales, the number jumped to 50 per cent by mid-2000. India-style socialism meant that cheaper diesel (there is still a price differential between petrol and diesel) continues to be used by the rich car owner. Each diesel car is legally allowed to emit four to seven times more than the petrol variant. Pollution is inevitable. Third, by 2007, around 1.2 million vehicles - mainly cars - were entering or leaving the city daily. We never planned for growth of connectivity as we never planned the growth of Gurgaon, Faridabad, Noida and now Greater Noida. It just happened. It made pollution happen. Fourth and most deadly - as this makes up roughly 30 per cent of the emissions from the transport sector - over 50,000 heavy-duty commercial vehicles traverse the city daily. Way back in 2004, the Supreme Court had ordered for a bypass. This was lost in contractual rigmarole and, as a result, has not been built yet. Then there are other sources - from factories in the vicinity of Delhi to the coal-based Badarpur power plant. All these add to pollution. All contribute to the hell we breathe today. In the past decade, since the introduction of CNG, some things have changed. One, there has been an explosion of personal vehicles - near 100 per cent increase in registration in Delhi alone. So, even as each car has become cleaner, because of tighter emission standards and better quality of fuel, the number has increased exponentially. The net result on pollution is the same. There is one new pollution source - non-vehicle - which made an entry post 2005. Punjab and Haryana directed farmers to delay paddy transplantation to save on groundwater usage in peak summer. But now, there is no time for farmers to harvest paddy and grow wheat. They burn the straw. So, in October and November, just as winter inversion is settling in, this fire makes its way to the already polluted air shed of Delhi. We choke. What, then, is the way ahead? The fact is that Delhi managed to turn the page on pollution in 2001. Can it do so again? My colleagues and I believe it can be done. We have put together an agenda for action - the second-generation reform package, which lists 12 big steps that need to be taken for clean air. The most immediate is to have an aggressive roadmap for clean fuel and vehicle technology in the country. But this is not acceptable to powerful vehicle manufacturers. So, even as oil companies have started supply of cleaner fuel across North India from April 1, 2015, car companies have succeeded in getting an extension for supply of clean vehicles from the surface transport ministry. Knowing full well that this would bring down pollution from diesel trucks entering the city significantly. Now, the same car companies are busy arguing that they should continue to have the licence to pollute. They want 8-10 years to move to the cleaner vehicle technology that Europe uses today. These companies need to understand that we have all run out of time and air to breathe. The other steps are equally urgent - from monitoring air quality to smog alerts, so that we know when we are advised to take precautions because of bad air. But most critical, the game changer perhaps, is to massively augment our public transportation systems - buses, metros, footpaths and cycle tracks - so that we can take a bus and then cross the road or just walk. We also need car restraints - parking rates and fines for illegal parking need to be increased and then enforced. We also need to take aggressive and radical steps to hold down pollution from factories and farms, particularly in critical winter months. But bad air is not just Delhi's problem. All across Indian cities, we are losing our right to take a breath. We don't know this because most cities do not have the paraphernalia to monitor air quality. But because we do not know, does not mean our air is clean. It is time we reversed this slow murder. Our right to clean air has to be non-negotiable. That is the least we ask.